I love history but different authors can make it something that people enjoy or dislike. I will read anything historic simply because I find it interesting. This book is incredibly slow but full of rich history surrounding this time. I enjoyed the author's angle on the story about the gruesome things that happened to the Union men in this prison and also about the people in the town. Tracy must have done a ton of research and I would highly recommend this book if you were interested in this part of history. Some of the scenes are gruesome but not to the point that I couldn't read it, it's just the reality of what happened. She does not sugarcoat the awful things that went on. I recommend to those who enjoy history. This will be available January 17, 2014. 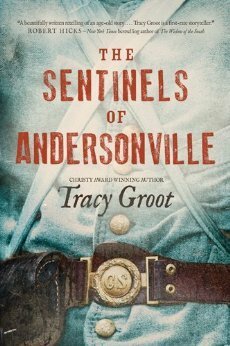 I've been to Andersonville, the site, Michellle. The evil there is PALPABLE. Don't think I could read about it but thanks for the review! I can't imagine I think I need to visit one day. I think it would feel more real but yes so sad! Thanks for commenting.